Eligma uses artificial intelligence to find the best deal for the product you search for. It’s engine algorithm processes millions of data points to compare product specifications and characteristics to match your requirements, all in a matter of seconds. Now that’s pretty neat! Eligma will introduce a unified shopping account that links with all your online shopping platforms. This means that you won’t have to keep logging into each seperate account when wanting to make a purchase. Eligma’s payment gateway will allow you make purchases with cryptocurrencies and they boast that this will be possible EVEN with online stores that don’t support this yet, very cool. Eligma will help the consumer keep track of their purchases with it’s personal product inventory tool, giving the consumer a better overview of what they have purchased. Every product will be assigned with a blockchain track unique item profile, with this and the help of it’s clever AI it will predict the current & future value of each item to help you choose when the best time is to sell a certain product. This could work well for those who want to use reselling websites like eBay or perhaps even AutoTrader. Eligma aim to have one universal loyalty program, so forget all those loyalty store cards you have in your wallet taking up space. Eligma’s decentralised loyalty program will let you use your points whenever and on whatever you chose using their ELI Tokens. Merchants will be able to accept & give away ELI tokens to take payment and reward users, ELI tokens can also be used for other unique services on their platform, like second hand listings, product hunt, escrow, decentralised item sale, automated product purchases & also the facility to trade ELI on different exchanges. User registration Providing additional profile informationPurchases through EligmaAdding items to the inventoryUploading receiptsReferring new usersReferring new online storesPublishing wishlists, resulting in salesConducting social media actions, resulting in salesMerchants rewarding loyal customers. When looking at the token economics it’s worth noting that the price is capped to $800/ETH. They have a soft cap of $3 million and a hard cap of $24 million. We did see that OhHeyMatty (a crypto influencer) mentioned in one of his posted that there was a roumor that Eligma may have decided to half the hard cap, but this isn’t conclusive. If this is the case then it would be a hard cap of $12 million which instantly makes this a worth while punt for investors. See below how Eligma have allocated the tokens. 60% is allocated for the crowdsale which is a good amount. 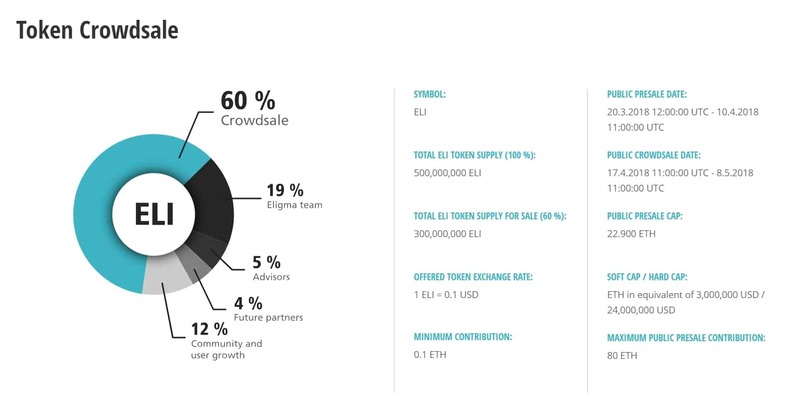 Setting this much aside for the public to invest shows that they believe that by growing the community and allowing them to be part of Eligma is key to their success, after all is us, general consumers who would benefit the most from using Eligma and the ELI tokens for our future transactions. When looking at the road map we notice that the MVP platform will be released in August 2018 which is quite good as it’s not long after token sale. The beta verison of the POS system is currently being trialed at BTC City, so it would be good to know how successful that has been so far. From August they will be slowly adding more and more features as they continue to develop their plans until Q1 2021 where the complete platorm aims to be live. For me this is too long, but let’s have a look at the team and see if they have what it takes to make this a global success assuming you’ve HODL until 2021. From first looks at the team you can see they took time & effort to make their branding all the same. I hate it when you go to the team page of an ICO and all the pictures are different sizes, quality and even sometimes blurry. Eligma nailed it by having all members wearing the same colour t-shirt & having the same picture taken with the same backdrop. It shows unity and a consious level of attention that most ICO’s lack. It’s such an easy thing to do and leaves a good impression which is why i’m so suprised you don’t see this apporach being taken very often. This Slovenian based team of 29 (yes that’s right, 29 members!) is lead by DEJAN ROLJIC the founder & CEO. Dejan began his entrepreneurial journey as a teenager in a successful San Francisco based start-up before continuing his path in Shanghai, China. He later founded ABC Accelerator, dedicated to high-tech companies, and together they invested in more than 80 startups from around the world. He has also been involved as an advisor in several successful token sales and actively helped companies build their business. Previous companies & involvements include ABC Accelerator, FORMTASTE Innovations, Sappcor Ltd.
MATEJ GREGORCIC, Co-Founder has been an entrepreneur for most of his life. He founded a marketing agency, which is nowadays one of the biggest event management agencies in Slovenia. He specialises in team leadership and strategic planning, utilising knowledge. He recently led the Viberate team through one of the most successful token sales in the region which is good to see, but I also want team leaders to have one sole focus, so it would be good to know how involved he is in Viberate still. 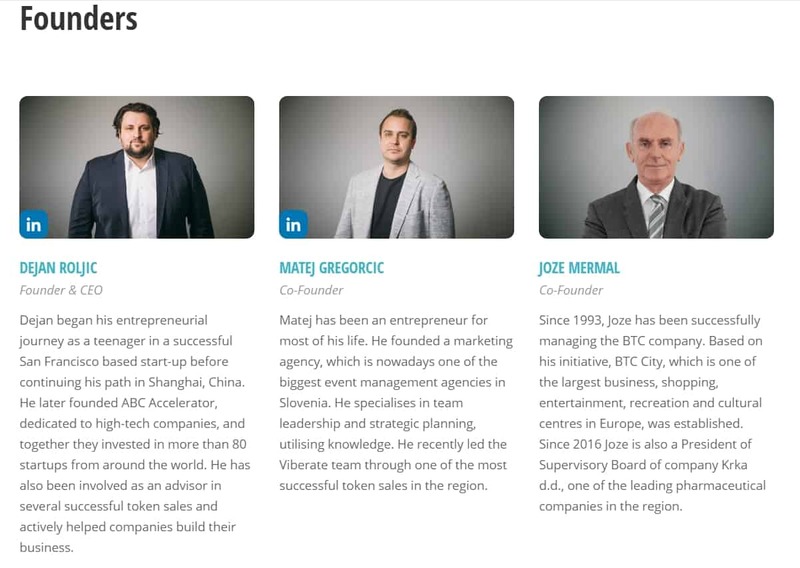 JOZE MERMAL the 3rd founder of Eligma has been successfully managing the BTC company since 1993. Based on his initiative, BTC City, which is one of the largest business, shopping, entertainment, recreation and cultural centres in Europe, was established. Since 2016 Joze is also a President of Supervisory Board of company Krka d.d., one of the leading pharmaceutical companies in the region. It’s clear to see that Joze know what he’s doing when it comes to running a shopping mall, so i hope this supreme knowledge can translate well onto their platform and into the crypto sphere. As you can see they have a huge social media following, especially on Facebook! I can only assume the connection with BTC City shopping centre had some help in driving customers to their Facebook page. Their Telegram group is very active and their admin are very good at getting back to their community in answering questions. There are constant update on Twitter and the team are constantly making appearances at crypto shows around the world which is what we like to see. I believe that Eligma have a huge chance to make their platorm a massive success, in particular Slovenia where it’s based and where the beta testing took place. To make it a global success will take a lot of time and effort from the team to create a community around the ELI token. This ICO really rely’s on the public changing the way we choose to spend our money and if they can make the ELI token rewards big enough i believe they could do this. 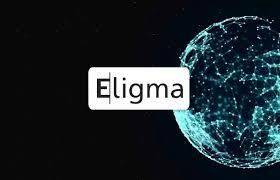 Also if the influencers roumor are true and they half their hard cap i believe Eligma could be onto a winner. My only concern is that the full usable platform won’t be globally available until 2021 which is quite a while away. 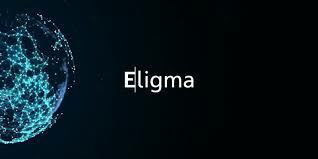 I guess only time will tell if Eligma can be a success, it’ll be intresting to see who they progress in the coming years. Quarkchain ICO Review – 1 Million TPS?